Bonerama- “Shake It Baby” Release, and Free Track! 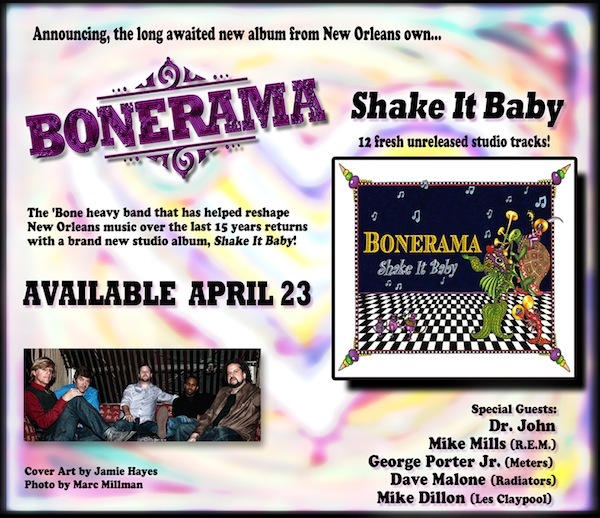 Check out “Shake it Baby”, the latest release from New Orleans own trombone funk phenomenon “Bonerama”. Joe Ashlar can be heard playing Hammond Organ on several of these funky tracks, as well as Dr. John, Mike Mills from R.E.M. and George Porter Jr. from the Meters! The album will be released on April 23rd, 2013. Free track no longer offered as per the title of this post. Enjoy the music, and look out for the album! Previous postJoe Ashlar French Quarter Fest Shows! Next postReview of New Release!